For many alternative bands from the punk, rock and indie scene that play live with a drummer, it makes sense to record any drum parts in the studio as well. Or at least to start with, to guarantee a performance with a human feel. Unfortunately recording drums in the studio is easier said than done. Besides the arsenal of mics and the specific hardware and software needed for a proper multitrack recording, just tuning the drum kit and getting through a recording session can be a challenge, let alone the actual mixing of the recordings. The sound of a drum production – apart from the specific sound of the drum kit – starts with the recording room. It is astonishing how much the sound of a drum kit can vary depending on the acoustic properties of a room. Besides that, the choice of mics and mic positioning can play a big role. The so-called close mics placed just above the drums and cymbals, usually will by themselves not sound representative for the intended finished sound at all. This is especially true in the context of modern popular music. Oftentimes it is the overhead mics combined with one or more room mics that determine the overall drum sound, while the close mics are subtly used to add directness and impact. A big challenge that comes into play when recording a drum kit with a large amount of mics, is correcting for possible phase issues. Because the different mics will record the same sound sources from different distances, undesirable coloration and resonances can occur when the tracks are combined due to certain frequencies amplifying and canceling out each other, a process called comb filtering. Although it is often necessary to manually correct for these phase issues during mixing, some mic arrangements have been thought out to minimize phase issues during the recording stage, like the recorder man arrangement and the Glyn Johns method. The recorder man arrangement is an often-used where the overhead mics are positioned in order to record both the kick and snare in perfect phase. Place the first overhead mic about three feet above the snare pointing downwards, and the second one about two feet above your floor tome, pointing it to the snare as well. Then, route a piece of string or cable from your kick to the first overhead mic and then to your snare, creating a V-shape. 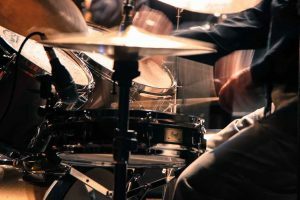 If you now move the string from where it touches the first overhead mic in the direction of the floor tom, you can place the second overhead mic in perfect phase with the first in regard to the kick and snare. After positioning the overhead mics like this, you can add close mics and room mics to taste. The Glyn Johns method provides a way to record an entire drum kit with just four mics. As a reference to the way this method sounds, think of the drum sound of John Bonham, the drummer of Led Zeppelin. Place a single overhead mic about three feet above the drum kit, pointed straight down. Then, place an additional mic to the right of the floor tom, making sure it has the same distance to the snare as the overhead mic. Finally, use two close mics to record the kick and snare. With the Glyn Johns method, the overall drum sound is created by the single overhead and second mic, while the close mics are subtly added for giving the kick and snare more definition. Experience is necessary to properly record a drum kit, even if you choose to just use a small number of mics. 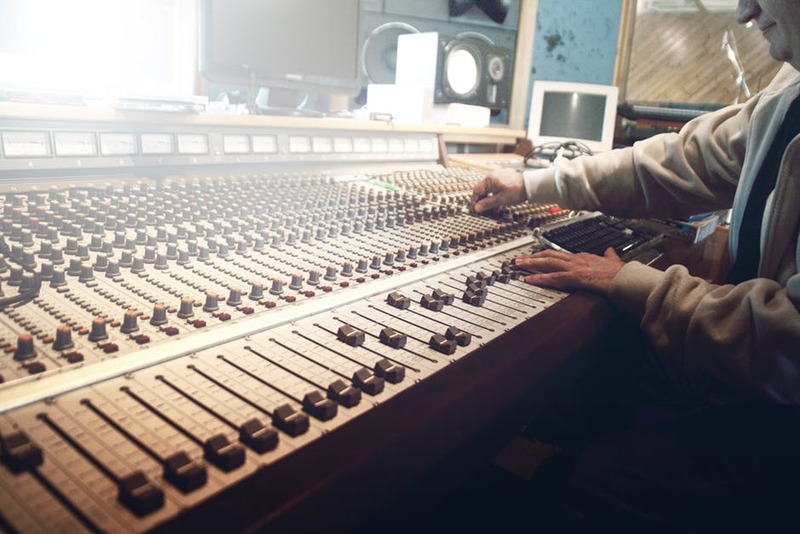 Therefore, most bands decide to book a studio including a dedicated recording engineer for recording drums. 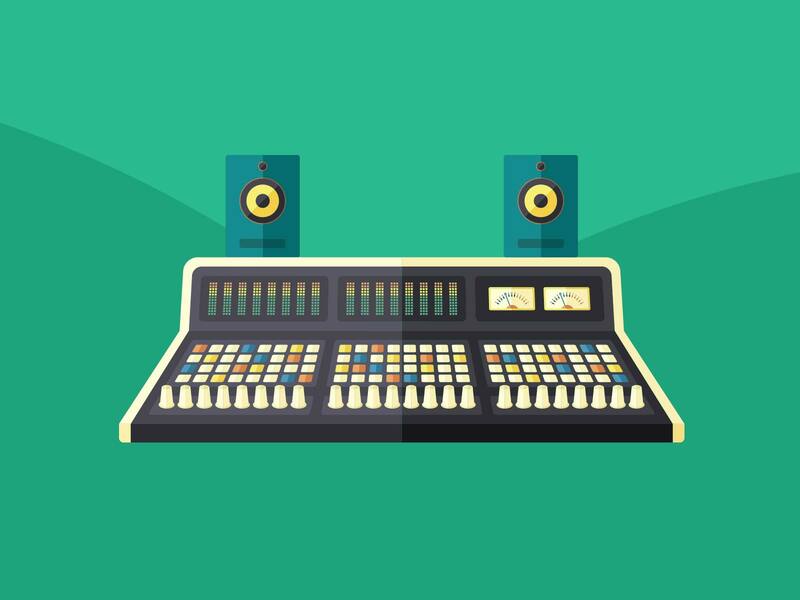 Usually, this option is relatively affordable if you take into account the costs of buying or hiring all the gear you would need to facilitate your own recording session. That being said, it is certainly not impossible to pull off a drum recording session all by yourself. If you have the time and gear it is extremely educational experimenting with different mic arrangements and recording methods. And, in case you are pleased with your studio studio recordings, you can use the techniques discussed in the two remaining parts of this blog to apply the finishing touch.